Chief Minister Siddaramaiah on Thursday inaugurated a solar power park with a 2,000 megawatt capacity at Pavagada in Karnataka's Tumakuru district, about 70 km from here. "Karnataka has emerged as the third-largest producer of renewable energy in the country. We have set a goal to source at least 20 per cent of power requirements from renewable projects," Siddaramaiah said. In future, Karnataka aims to be an energy-surplus state, he said. Built on 13,000 acres spread across five villages, the park entailed an expenditure of Rs 165 billion, an official statement said. The solar park generated 600 MW power as of January 2018 while an additional 1,400 MW is expected to be generated by December. Even as the southern state claims that this solar park is the largest, Rajasthan's Bhadla solar park coming up in Jodhpur district will have a capacity of 2,255 MW when fully operational. 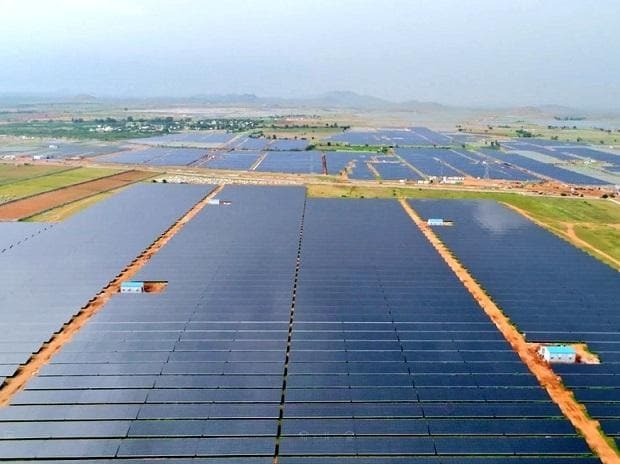 "The solar park has farmers from the Pavagada region as partners and beneficiaries who have leased out land for the park," said state Energy Minister D.K. Shivakumar. Nearly 2,300 farmers are part of the project, with several giving their land for Rs 21,000 per acre per annum rent.